Russia’s largest airline Aeroflot has received another Airbus A320 narrowbody. Registered as VP-BKP (factory number MSN 7806), the airplane was delivered on September 9, the lessor AviaAM Leasing reports. The newly arrived A320-200 is powered by CFM56-5B4 turbofans. It comes with Aeroflot’s standard 158-seat cabin layout for the type, with eight in business and 150 in economy. The airplane joins the carrier’s extensive A320 fleet, which stood at 68 airframes as of September 1. 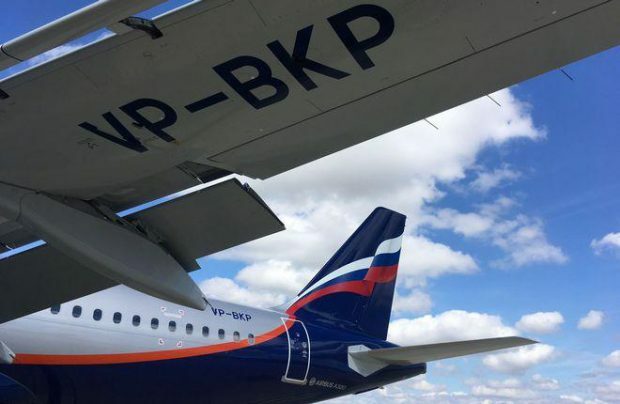 It is the seventh airliner Aeroflot is leasing from a joint venture between Lithuania’s AviaAM Leasing of Lithuania and China’s Henan Civil Aviation Development and Investment Company (HNCA). The deliveries are covered by a contract for eight A320 and A321 aircraft. The carrier expects to receive the final of the batch by the end of September. The newly delivered airliner has already been put into revenue service, performing return flights from Moscow to Omsk, Mineralnye Vody, Rostov-on-Don, Volgograd, Astrakhan, Stavropol, and Surgut, according to Flightradar24. Sources differ on the total number of airliners in Aeroflot’s fleet. The carrier’s data suggest that together with the newly received aircraft, the figure has reached 203. The Federal Air Transport Agency statistics indicate that the carrier’s overall fleet now stands at 198 airframes. Apart from the A320 family aircraft, the airline also operates Boeing 737s, Airbus A330s, Boeing 777s, and Sukhoi Superjet 100 (SSJ100) regional jetliners.